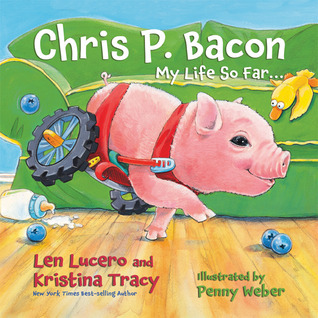 Chris P. Bacon is the very cute, inspirational true story of a little pig who became a big deal on the internet and TV. Chris’s back legs would not work, so his adopted “dad” (a vet) designed a cart for him to wheel around on instead. Chris became a Youtube sensation and appeared on TV shows. This book is told from Chris’s point of view and uses both illustrations and real photographs to tell his story. It was cool for me to read as an adult, and I am sure it will be for children.